We all have a strong, innate connection with the earth and it’s natural rhythms. Yet often we get so caught up in the busyness of life we forget to take time to honor and reflect on these natural patterns that are so deeply a part of who we are. In the midst of the busy holiday season, celebrating the Winter Solstice can be a welcome retreat from the hustle and bustle of the season; A time to reflect inward and focus on coming out of the darkness, as we welcome the light back in to the world. 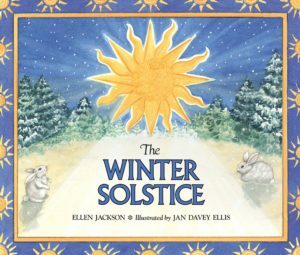 Here are some lovely ideas for celebrating Winter Solstice with your family.